The Indian Premier League 2019 inventory on Hotstar will cost up to 70% higher than the previous edition. 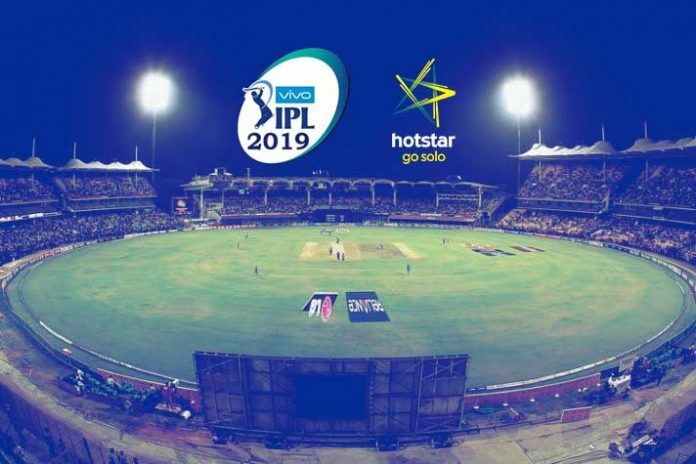 Star India is reportedly selling the IPL 2019 Co-Presenting Sponsorship rights Hotstar at ₹ 50 crore as against the ₹30 crore price tag for the previous year. An Associate Sponsor package will cost ₹ 25 crore, Exchange4media has reported quoted market sources. The advertiser will reportedly get the option to pick mid-roll and/or pre-roll advertisements, social media branded cards, or the gaming feature of Watch n’Play as part of the ₹ 50 crore package. According to the media industry news website, the Associate Sponsor package also offers an option of the three broad inventory formats. However, for the ₹ 25 crore deal the impressions for mid-roll and pre-roll ads and branded cards on social feed for Associate Sponsor will be lower than that for Co-Presenting Sponsor. Star India has not clubbed the Hotstar ad inventory with the television packages. The cost of the Hotstar Masthead, which is around ₹10 lakh per day is also reported to be increased up to ₹15-20 lakh during the period of the IPL. A leading media buyer confirmed to insidesport.co that Star India is seeking the higher rates with guaranteed minimum impressions on the OTT platform. “This itself indicates that a sponsor will have to pay only on pro-rata based upon total hits. Even otherwise the brands are not willing to pay this price even though they were prepared for some hike over the last year”. Given the strong viewership numbers for Vivo IPL 2018, Hotstar is promising advertisers high ROI. In 2018, as many as 202 million people logged on to Hotstar to watch IPL compared to 130 million people in 2017, registering a jump of 51 per cent. This year, Hotstar will allow advertisers to target 24 different geo-based consumer markets – Mumbai, Delhi, Bengaluru, Hyderabad, Kolkata, Chennai, Tamil Nadu, Karnataka, Kerala, Andhra Pradesh, Telangana, Maharashtra, Gujarat, Madhya Pradesh, Punjab, Haryana, Bihar, Uttar Pradesh, West Bengal, Bihar, Orissa, Hindi Speaking markets and demographic targeting to female (all age group) and males – during the live streaming.